NEW TIME OF YEAR FOR REUNION...SEPTEMBER 2019! 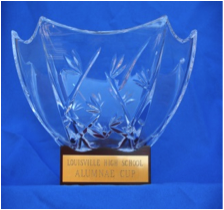 The Louisville High School Alumnae Association will be honoring all classes ending in 4 and 9 during a special weekend of reunion activities in SEPTEMBER OF 2019. 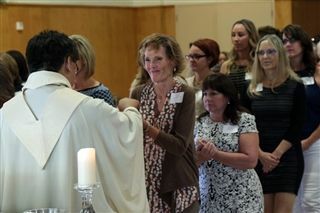 Louisville alumnae are encouraged to join with Crespi alumni from their class who are also reuniting that same weekend, and plan an off-campus gathering together during the open Saturday night. Reminisce, reconnect, laugh, and celebrate! Save the dates and spread the word to your classmates. Kick off the weekend with your Crespi brothers who are also celebrating their reunion this weekend, and attend the All-Alumni BBQ & Reception, followed by the Crespi Homecoming Football Game, at the Crespi Alumni House and Field in Encino, CA. Spouses and guests welcome. Celebrate your Louisville sisterhood together with a special Reunion program, awards, tours and brunch. Your mother, sister and teen/tween daughter are welcome too! RSVP REQUIRED! Please click the blue button on this page to "RSVP for Reunion Program & Luncheon"
Contact your friends or Class Representative and plan an off-campus party at a restaurant or private home. To volunteer as a Rep, reconnect with your reuniting Crespi brothers, and/or plan a joint event, contact the Louisville Alumnae Office for more information: pbellew@louisvillehs.org. A FULL WEEKEND OF REUNION ACTIVITIES AWAITS YOU IN SEPTEMBER OF 2019! 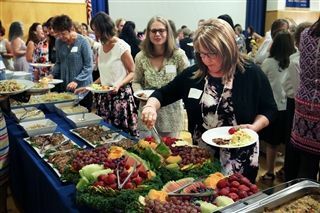 Each year, Reuniting Classes are invited to celebrate on campus together with a special Ladies Luncheon! 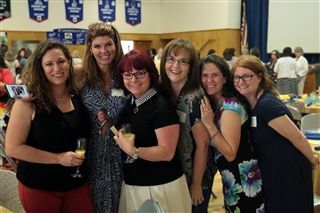 For more details regarding Reunion Weekend 2019, go to www.louisvillehs.org/reunion or click the "Royal Reunion" tab above, right.